One of the “fathers of the internet” has warned that images and documents we store on computers may disappear from history as the ongoing digital revolution makes older hardware and software obsolete. 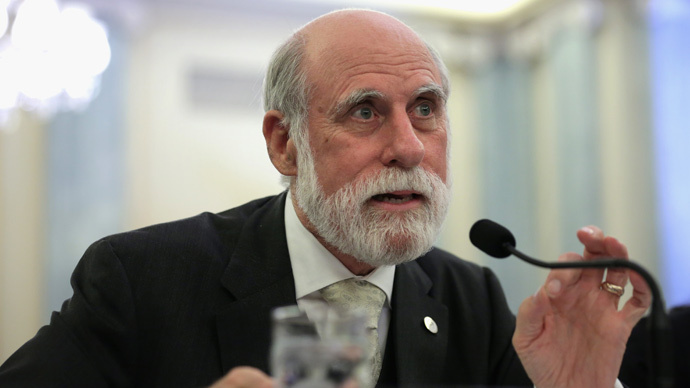 Vint Cerf, a vice president at Google, made his remarks during a science conference, the American Association for the Advancement of Science, in San Jose, California. Cerf said that important pieces of information, our life, family photographs and memories, that we have stored on our hard drives or on the internet, may be lost as the pace of the digital revolution accelerates. He referred to the potential loss of information as the “Digital Dark Age,” a reference to the period in history after the fall of Roman Empire about which very little is known because there are very few written records. "In our zeal to get excited about digitizing, we digitize photographs thinking it's going to make them last longer, and we might turn out to be wrong," he said. "I would say if there are photos you are really concerned about create a physical instance of them. Print them out." He also expressed concern that even this may not be sufficient as often historians and people do not realize how important documents are until centuries after those that made them have passed away. "Some people make the argument that the important stuff will be copied and put into new media and so why should we worry," Cerf said. "But historians will tell you that sometimes documents and transactions images and so on may turn out to have an importance which is not understood for hundreds of years. So failure to preserve them will cause us to lose our perspective." But the internet pioneer is working on an idea which he calls the “digital vacuum,” where all the ways a digital file is created, stored and opened is kept alongside the document itself meaning that scientists and IT specialists of the future will be able to reproduce files by following the instructions.